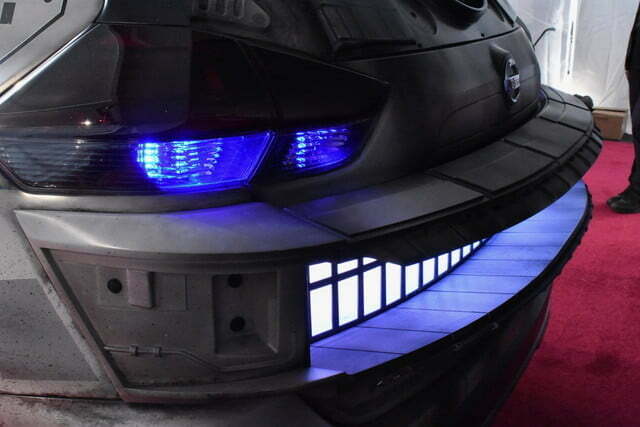 If he traded the Millennium Falcon for terrestrial transportation, what would Han Solo drive? 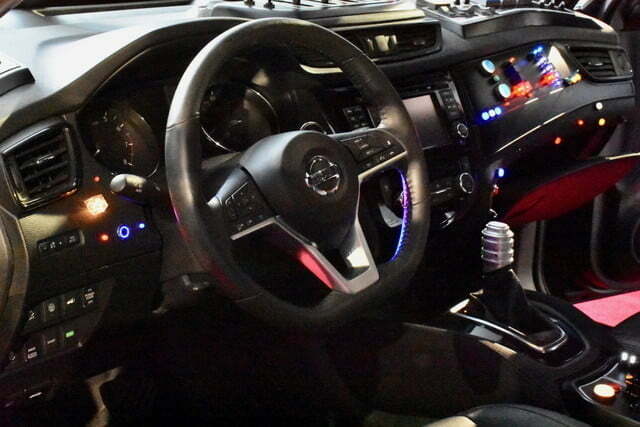 Nissan would like to think everyone’s favorite rogue would drive its Rogue crossover. 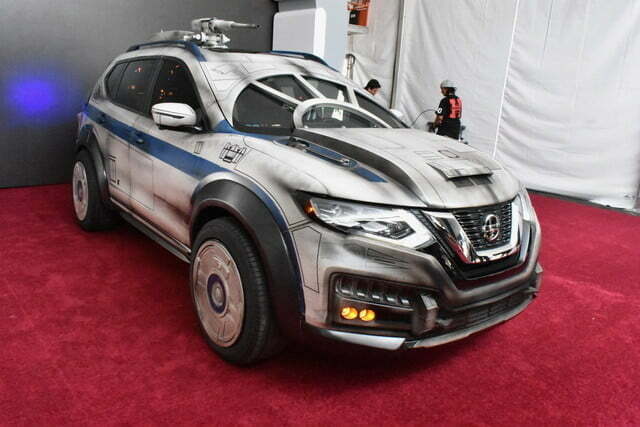 So as part of its ongoing association with the Star Wars franchise, Nissan unveiled a customized Rogue inspired by the Millennium Falcon as a tie-in for Solo: A Star Wars Story. 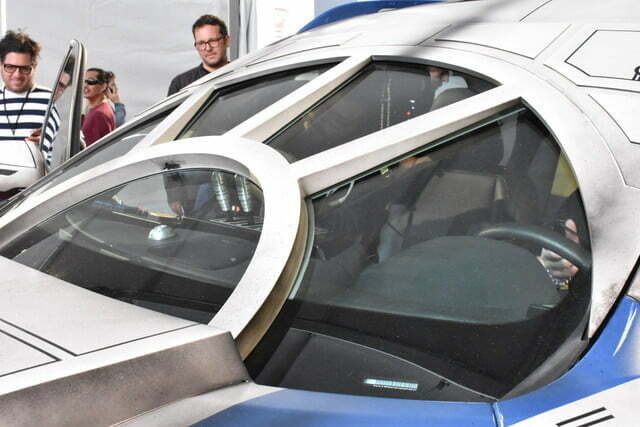 Digital Trends got a sneak peek on the (still under construction) red carpet ahead of the movie’s premiere. 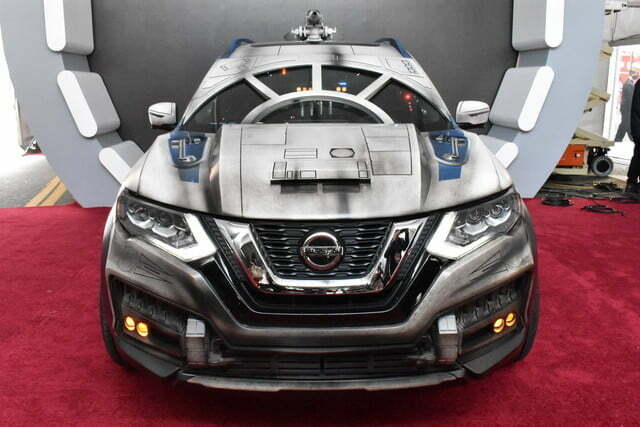 The modified Rogue is the latest in a series of Star Wars-themed show cars, and Nissan claims it’s the most extensively customized to date. 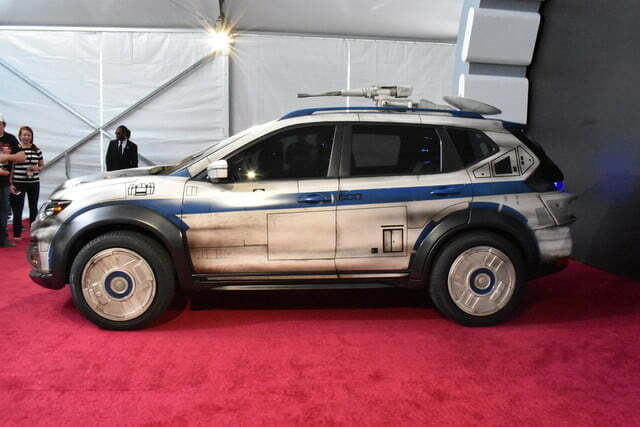 That is not surprising, considering that designers had to imbue a humble family crossover with the look and feel of one of the most famous vehicles ever to hit the silver screen. 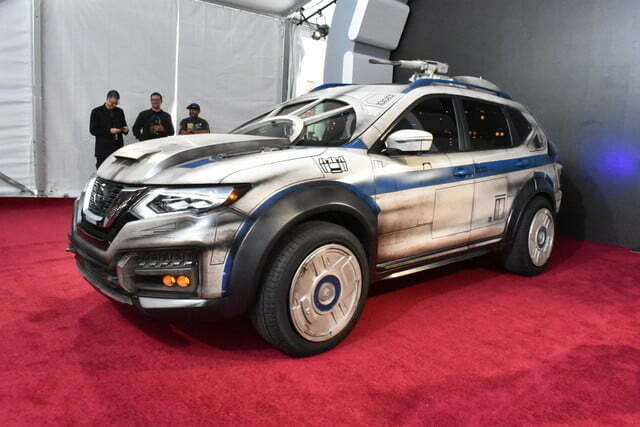 The exterior was altered to make the Rogue look like the Falcon, complete with aluminum body panels and 3D-printed detail parts. 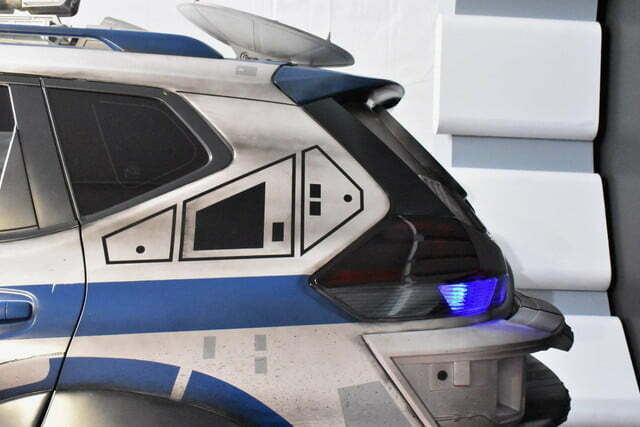 The car even has a radar dish and laser turret, glowing blue rear hyperdrive unit, as seen in the movies. 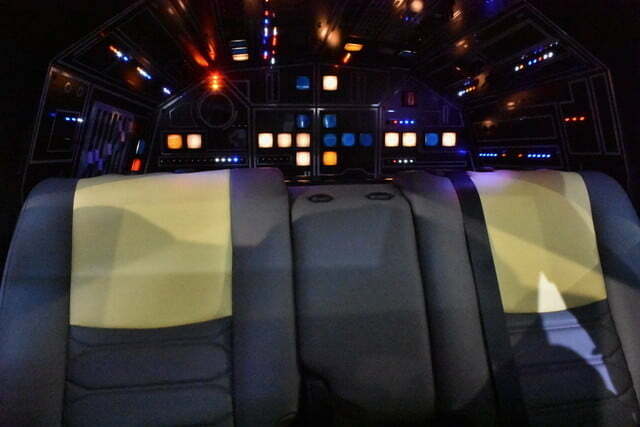 The Rogue’s interior was customized to give it the feel of the Falcon’s cockpit. 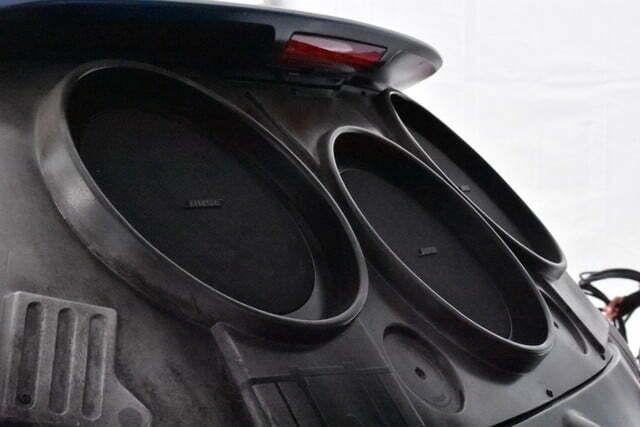 A 1,500-watt Bose sound system — which includes three externally mounted speakers and an 18-inch subwoofer — provide movie-worthy sound effects. 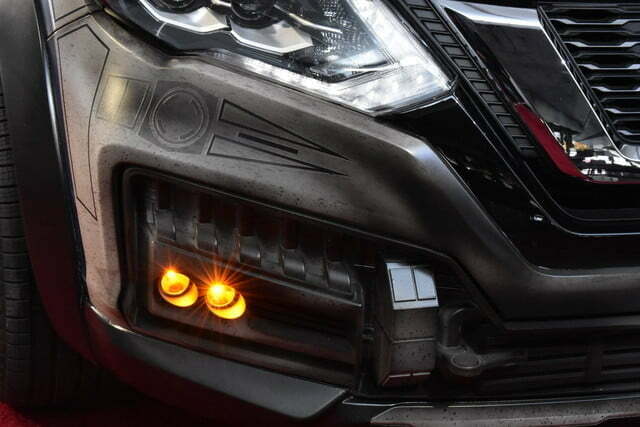 Nissan worked with concept designers at Lucasfilm and Industrial Light & Magic to create the Solo Rogue, while the actual fabrication work was done by Vehicle Effects. 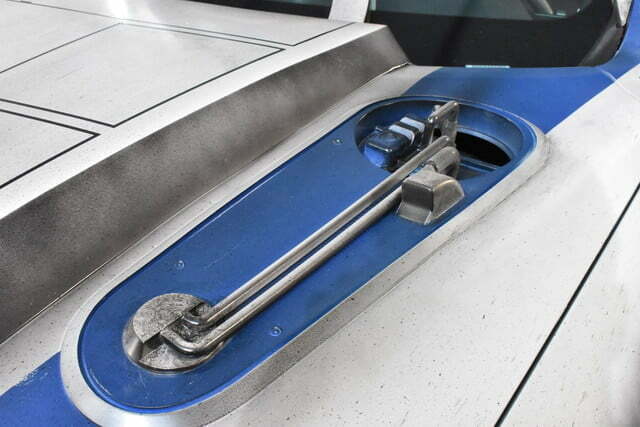 The Burbank, California, company has built cars for numerous movies, including various installments of the Fast and Furious franchise. 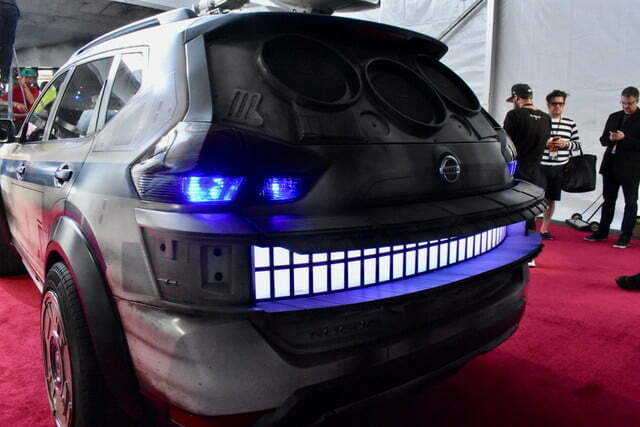 It also built all of Nissan’s previous Star Wars show cars, including seven customized vehicles for the previous film, The Last Jedi. 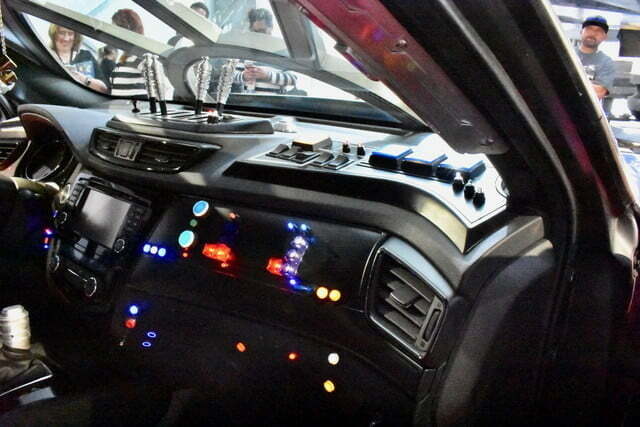 In Star Wars movies, the Millennium Falcon is known as one of the fastest ships in the galaxy. 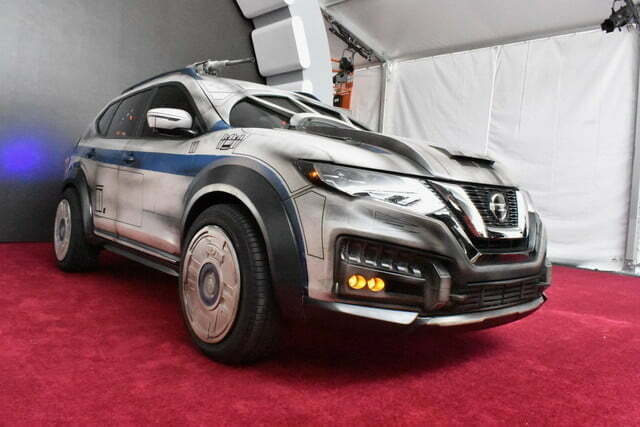 But while this Nissan Rogue show car may look like the Falcon, it probably won’t move like it. 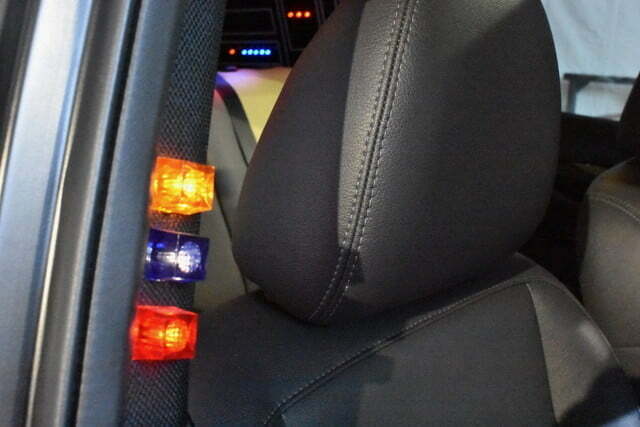 Stock versions of the Rogue don’t get a hyperdrive, just 2.5-liter gasoline four-cylinder and 2.0-liter four-cylinder hybrid powertrains. The stand-alone gasoline powertrain’s 170 horsepower and the hybrid’s 176 hp are adequate, but not thrilling. 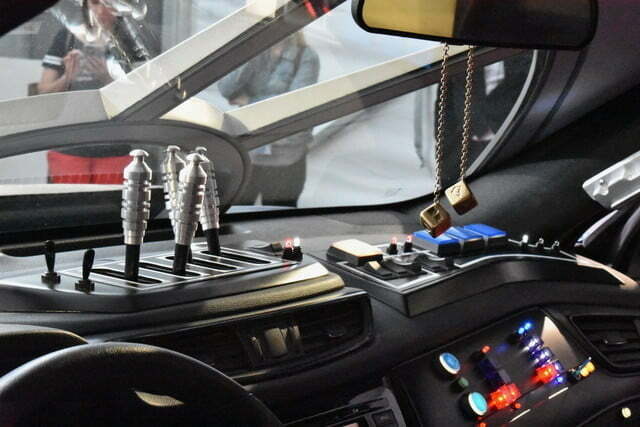 The optional all-wheel drive system would probably come in handy on Hoth, though. Can Google really save us from wasting time, or are we on our own?